Getting back into the swing of things is never easy after a holiday, I find. It’s a bit like having a hangover. Especially when there’s still the back end of winter to get through… and you have raging tooth ache! After several days of the sort of head-splitting pain you wouldn’t wish on your worst enemy, I had been angling for (and failing to get) an emergency appointment. With severe wind and rain on top of this unwanted drama, I managed to miss the end of the river coarse season. Even so, I was still craving a hit or two from the pike by March 15th. Actually, I should probably have winkled one out while passing through the Cotswold Water Park pits (above) on my way to another job the week before, but was left to curse my lack of foresight on a water with little casting space for the fly. 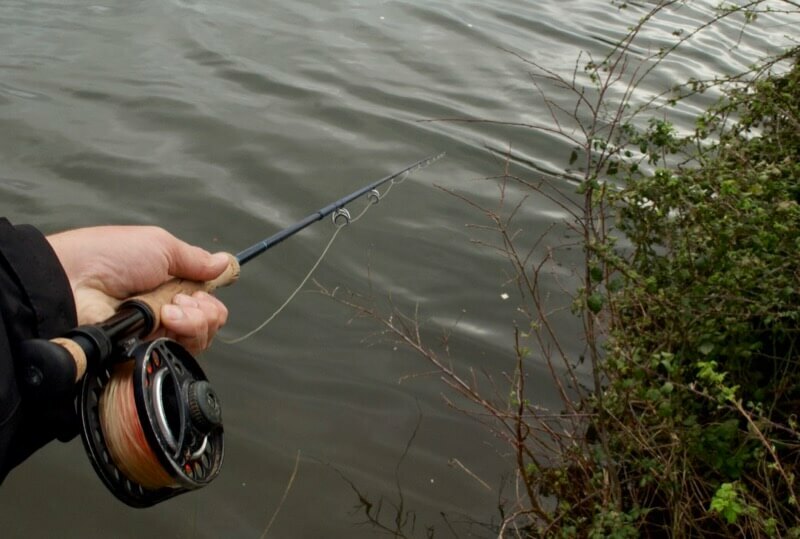 Admittedly, there have been plenty of times in my angling life when I suspect I missed out on a catch because I insisted on doing things differently. It’s all very noble to say “no bait today, only the fly rod is coming” but it can leave you scuppered. Such was the case on this occasion- as I failed to get even a follow on a venue where I struggled in cramped swims that where I may well have fared better with a lure or wobbled dead bait. Will I ever learn? Well, I guess I am the sort of idiot that will fly fish for barbel or zander. Sometimes this means I fail spectacularly! Two days later, the rivers were closed but I was getting cabin fever and fancied a crack on the canal. Where had the time gone? Between the to do list and trying to wangle an emergency dental appointment, I had left it a bit late. Down my way, the shallower pike venues tend to be off by March with the fish spawning. The much deeper, colder Exeter Ship Canal they tend to go for it only several weeks later, however, so it seemed worth a last throw of the dice. Again, I could have taken bait, but was really craving that hit on the fly rod. And so, in spite of 20mph winds I packed a 9wt. A fast intermediate line came out rather than the floater, which I hoped would cut through the choppy water better and get the fly down a bit. Water clarity looked decent, so while the wind didn’t make life easy I fancied it for a take or two. Now, by this stage in the season, the pike on Exeter Canal have had a lot of hammer. 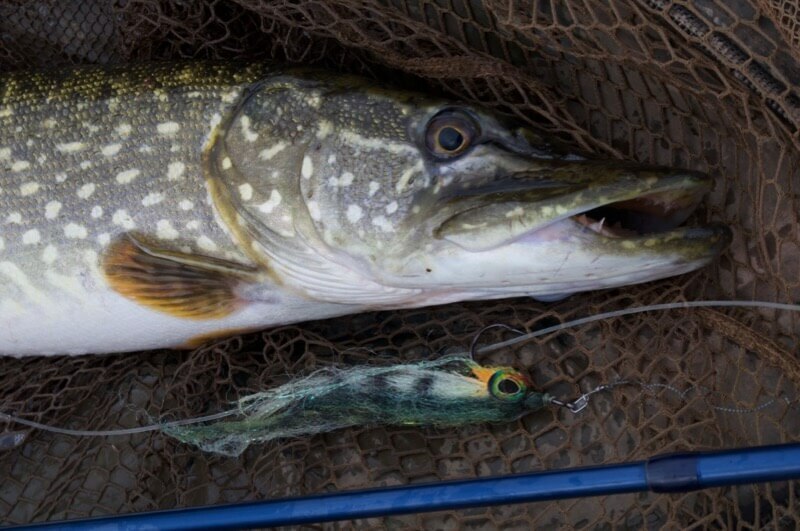 With it being the last pike venue of note for many miles (there are shag-all coarse rivers and only one pike-free canal beyond Exeter), they see a heck of a lot of lures and baits. For this reason alone, the fly is probably a sensible method, if only because they don’t see it day in day out. I also fancied a nice naturally coloured fly, given the good water clarity and the fact that these are fairly pressured, wary fish. 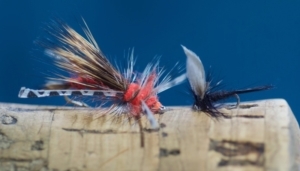 Certainly on earlier trips this season, I’ve had follows on shocking pink or orange flies but very few actual takes. The fly looked good to me anyway. It took perhaps an hour and a good walk to see any sign of life. A fish had followed from the main “track” of the canal and ghosted behind the fly right to the bank. A nice looking fish that looked a good double, it showed again but just wouldn’t take! Bugger. Ten minutes later, though, my luck was in. I felt a pluck on the line well out into the canal and kept retrieving. Next second, the same fish came at the fly again- a low, line strike and a lively fish was on! I say lucky because these Exeter pike tend to be like the Chesney Hawkes of the fish world; showy, one hit wonders who give you just one moment of potential glory before never being seen again. This one must have been hungry- and it was a nice healthy fish of six pounds or so. The rest of the session the fish continued to be tricky and it was a while before I saw another pike. After getting the first fish a good distance from the bank, well towards the central “track” of the cut, it was a surprise to see another nice fish tucked right under the reeds by the bank, perhaps ten to twelve pounds . At first all I saw was a snout poking out. As carefully as I could, I snuck a fly in but the fish wouldn’t react. Was it just sunbathing? I memorised the spot for later- which is always a good ploy when they’re not in the mood, because a fish can always switch on later if you find it again. I ended up missing several swims, having a wander and drinking in a bit sun. I was enjoying just being out, after several days of being stuck indoors with toothache. 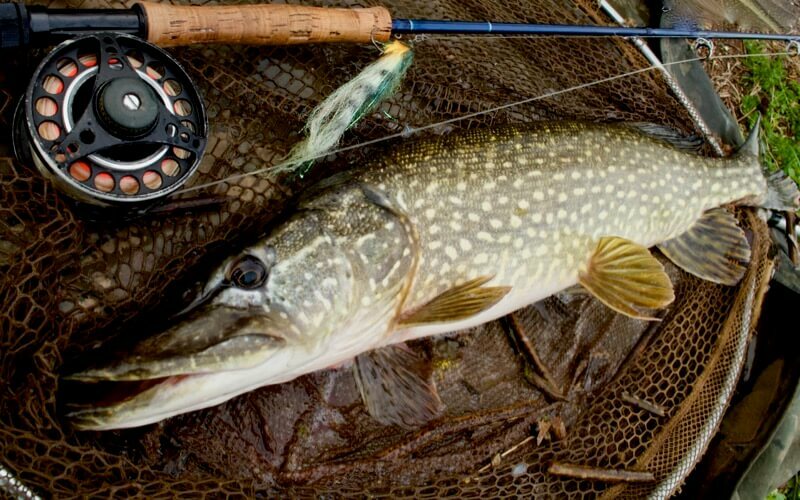 Compared the the hell-for-leather cast and retrieve fly fishing of my recent adventure, I have to say thay a return to pike fly fishing felt distinctly relaxed by comparison! 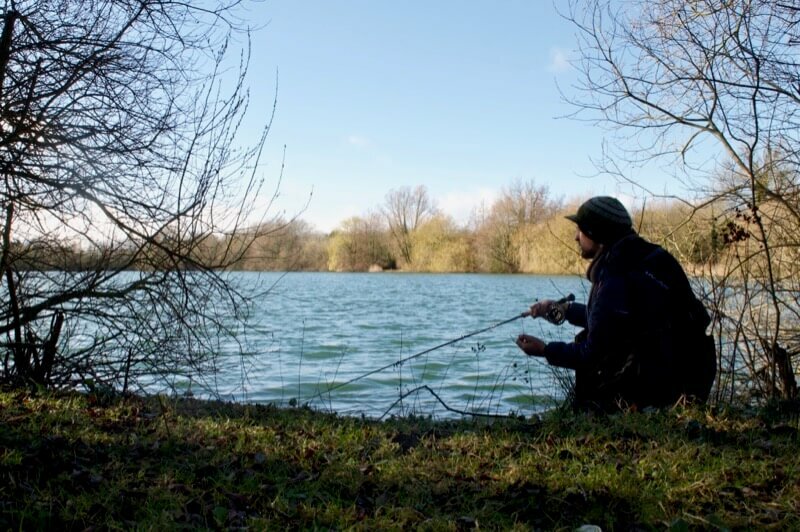 A couple of deadbaiters were alsoout, sat motionless by their rods and also hoping for a big one to finish the winter. But for the next hour it was stalemate for everyone. Remembering where that nice fish was sat, I felt it was worth one last crack on the way back to the car. The very first cast in the spot, I saw it again, following the fly for a few yards before sliding away. Next shot, I overcast a bit and let the fly sink well down. This time I retrieved with a bit more welly- and this time, the fish rushed in and seized the fly right before my eyes. It was a nice, dogged fight as it headed for the middle of the canal, steadily picking up all the loose fly line until the drag clicked. Lovely! Quite quickly, thought, I got it closer to the bank, where it gave some impressive thrashes at the surface. Looking at the long head and jaws, I was pretty sure it was the same fish I’d seen basking just an hour or so earlier. A low double, I would guess. With no friendly passer by or self take gubbins, I decided to take a quick shot of it on the mat and release her right away, rather than bother with scales and a grip and grin shot. 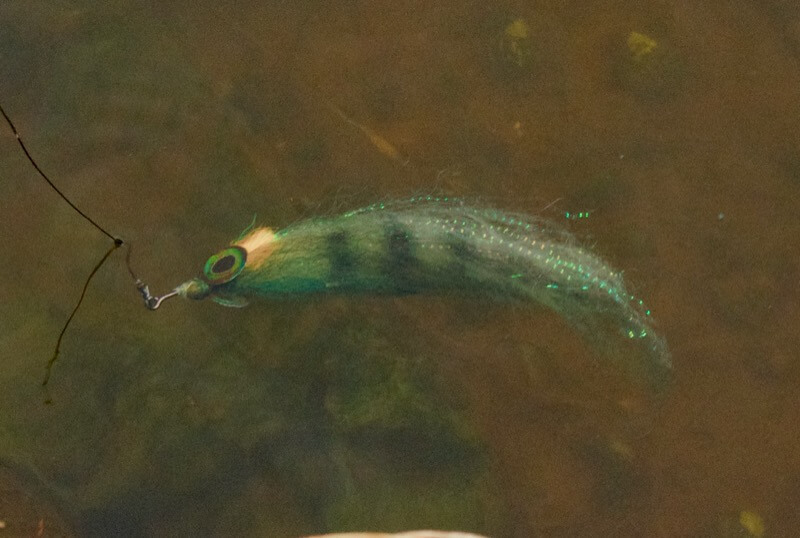 When the fish could be spawning quite soon, I always like to be quick and handle as little as possible. I love the simplicity of a single, debarbed fly; she was probably out of the water for no more than fifteen seconds. What a great little session- and, alarmingly, I had managed more fish in just three and a half hours than I had in my previous two dead bait sessions put together. That said, I might have to dunk some bait in shortly, because I had deja vu on the way back to the car as that first extra-long looking fish I’d spotted earlier (well, I presume it was the same one) followed in the exact same location I had seen it before; but yet again it flatly refused to take. Hmmph. Perhaps I’ll have another go yet. I always like to clear the freezer of skanky bait at this time of the year- my wife then stops going on about the state of the thing and it’s also good karma to give the pike some free food. You never know, I might just manage to get that elusive follower to finally open her jaws. A couple of quick shouts for this month might also be worth a look if you’re also champing at the bit but finding your rivers as brown as chocolate. I’ve just finished a guest mini feature for Flies Online, with five of my favourite fly fishing tag teams for one thing. See what you think… I guess most of us still prefer to stick to one fly on all but the biggest waters, but some flies just pair up beautifully. 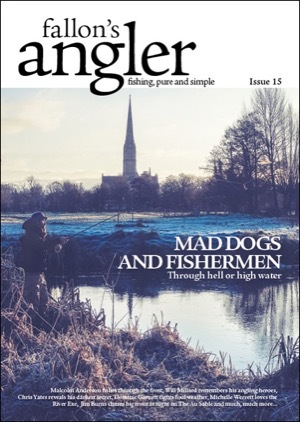 I should also share the good news that Fallon’s Angler Issue 15 is now out; and a great issue it is too! Devonians will enjoy the feature on the Exe by Michelle Werrett, while you can also read more from Chris Yates and others, along with special selection of foul weather fishing tips from the General.